FACT CHECK: Did New Zealand Prime Minister Jacinda Ardern Don a Hijab and Offer Aid to Families of Massacre Victims? New Zealand was rocked by grief following a massacre at two mosques perpetrated by a suspected white supremacist. New Zealand Prime Minister Jacinda Ardern wore a hijab and offered financial assistance in support of Christchurch shooting victims. Readers who were justifiably suspicious of content in a meme generated by a partisan source asked us whether its statements were true, and they were. 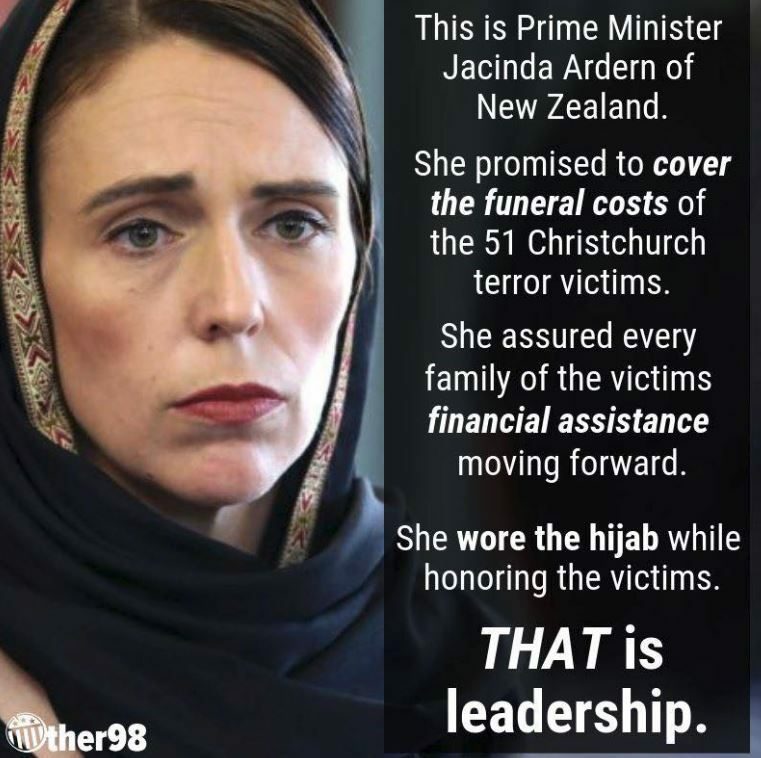 Ardern garnered praise for guiding her country through grief in the wake of a mass shooting that claimed the lives of 50 people at two mosques on 15 March 2019 while Brenton Tarrant, a 28-year-old Australian suspected of being a white supremacist, was charged in the slayings. It is also true that Ardern confirmed victims and their families would receive financial assistance from the New Zealand government, although it might be a reach to claim she personally offered such assistance. For ACC — as I’ve said before immigration status is not a factor — it is based on the event happening here in New Zealand. In an event such as this — murder or manslaughter — the family is eligible for a funeral grant of around $10,000. 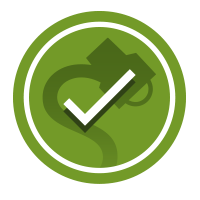 MSD [Ministry of Social Development] is providing standard forms of financial assistance also, such as helping with immediate needs and things like one-off grants for food payments. It will also be working with individuals and families to consider ongoing needs, such as benefit support. The country is currently making preparations for funerals for the 50 deceased victims. CBS News. 17 March 2019. The Washington Post. 18 March 2019.